Each bird we catch in our nets spends some time in a bird bag, to keep them warm, dry, safe and calm as we transport them for processing. All our bags are handmade from recycled cotton sheets so they are soft, breathable and endlessly washable. Natural, soft, breathable, non-stretch fabric. 100% cotton is best. It's an ideal project for old bed sheets! Light colors and prints are preferable. No trims, lace, fancy stitching or embroideries. Size can vary, as long as you can fit your hand fully past your wrist. 12 inches long by 8 inches wide is ideal. All seams should be hidden, so bird claws don't get caught. Drawstring closure, using a solid string that will strand up to repeated wash. It's an easy sewing project, a great way to use up random old sheets, and anyone working with wild birds will appreciate a fresh stack! Wanna try? Here's a step-by-step how-to. You can wing it, but it's easier to measure before cutting. You need rectangles roughly 14"x18". Measure your fabric and figure out how many will fit, give or take an inch on each bag to make it work. Then cut yourself a nice little stack of fabric rectangles. 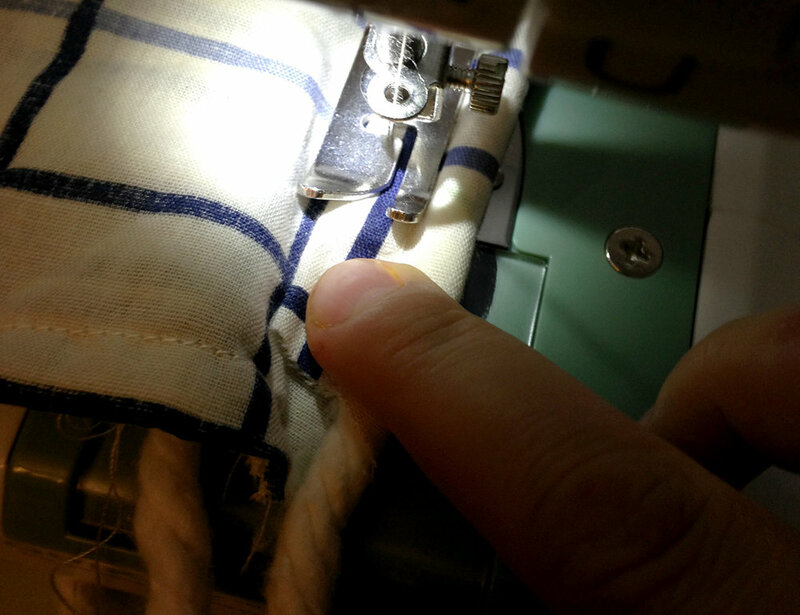 Fold your rectangle in half and start sewing at one corner, using the most basic straight stitch on your machine. 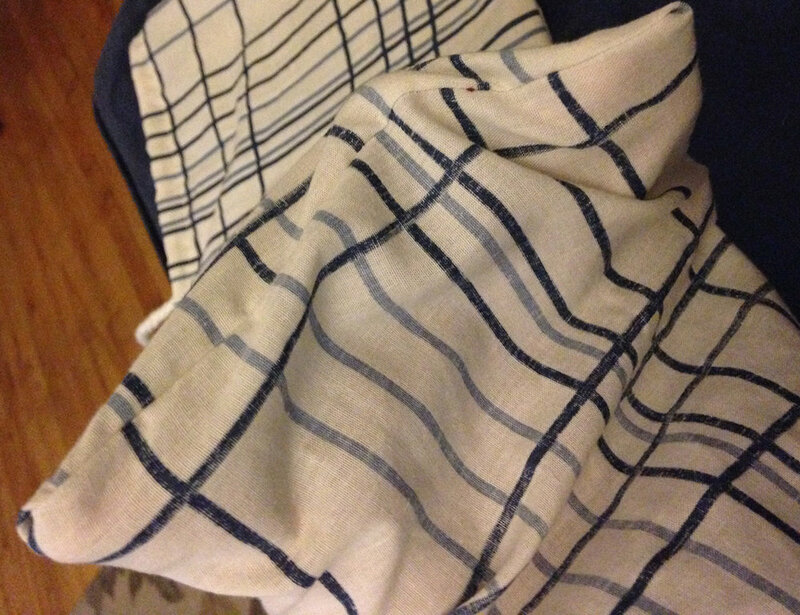 Sew along the bottom to the next corner, then rotate your fabric 90° and sew along the long edge. Stop 1" from the top and lock your stitch. If needed, trim along your seams so you only have a quarter inch allowance max. Those edges should be narrow and even. Then, flip the bag inside out and flatten it real good. You can iron the seams if you want (I use my hair straightener). Sew along the same path as before. Make sure you are lined up outside of the other seam's allowance, so the little strip of fabric is contained inside your new seam. 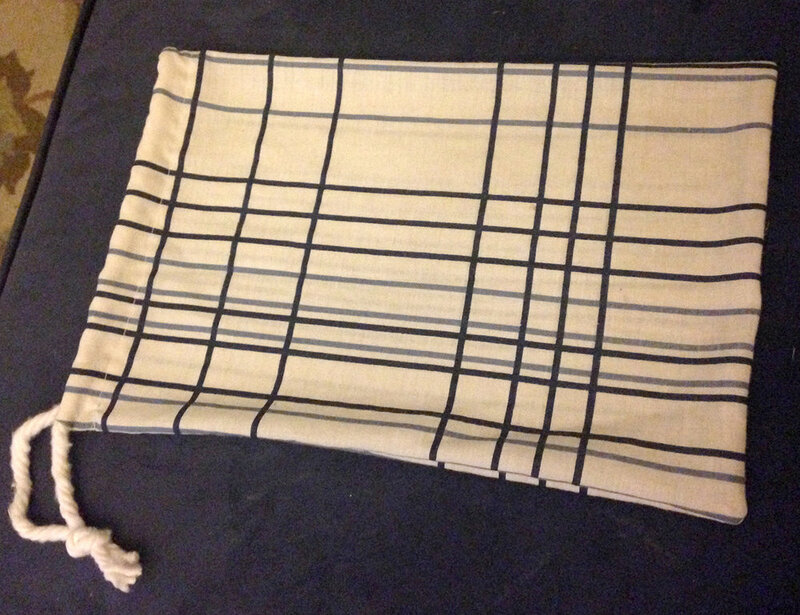 This will hide both seams and ensure no bird will catch their little talons in them! You need about 27 inches of string for each bag. Your string should be sturdy, washable, not too bulky, pretty soft, dry fast... We like macrame cord, but have also used laces, cotton jersey ribbon, and even cotton mop heads! Slip your bag on your machine. Wrap the string where your seam ends at the top. Fold the top edge of your bag over the string, then fold the unfinished edge in neatly. Sew all around the bag along the string, ensuring the unfinished edge is tucked in. Tie a knot in the string, clean up any loose thread, and you're done!